Lowering utility bills puts more money in the bank and means less energy is being consumed. It is not necessary to buy a new home or do a complete overhaul of your current home to accomplish the benefits. Some areas that can be addressed require little do-it-yourself experience or investment. An electronic device or appliance that is turned off but remains plugged in can use phantom loads of energy. 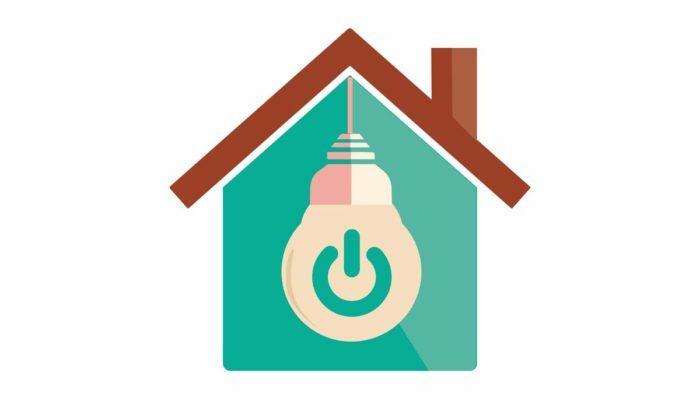 According to the Department of Energy, 75% of the electricity used for electronics in the home is consumed when they are turned off. The University of California Berkeley reports phantom loads account for approximately 6% of the national residential energy consumption. Eliminate phantom loads by unplugging electronics and appliances when not in use. A power strip can be used that is turned off when the devices are not being used. Sockets controlled by wall switches work like power strips. Appliances and electronics that have microprocessors, clocks, or remote controls have ‘standby’ features making them ready for action on demand. They continuously draw electricity when plugged in. U.S. consumers waste approximately $4 billion annually on phantom loads. Phantoms include appliances having plug-in wall cubes, TVs, and computers. Look for the Energy Star label issued by the Environmental Protection Agency when purchasing new appliances. Appliances which carry the Energy Star use between 10 to 50% less water and energy consumption than conventional counterparts. The additional cost of such devices is typically recouped through energy savings. One of the most efficient and least expensive changes to make is replacing light bulbs. An Energy Star compact fluorescent bulb that costs just a few dollars saves more than $30 over the lifetime of the bulb. It pays for itself in approximately six months. The bulbs last ten times longer and use 75% less energy. Energy Star eases fears of the mercury contained in compact fluorescent light bulbs. No mercury is released when the bulbs are in use. Mercury emissions are reduced because the bulbs lessen the need for power plant electricity that emits mercury. A programmable thermostat works by adjusting to the home’s temperature schedule automatically. It keeps the house comfortable when it needs to be. A programmable thermostat can potentially save up to 15% on cooling and heating costs. By using whole-house, ceiling, and stationary fans to cool the home in the summer, the need for air-conditioning is reduced. For every degree that a thermostat is raised cooling costs decrease between 7 to 10%. Over 50% of the home’s energy goes to cooling and heating. Beef up the insulation in the home’s ceilings, floors, walls, and attic to slow the airflow between outside and inside. Insulation makes controlling the home’s temperature easier. The attic is the easiest place for additional insulation. Look for small gaps and cracks where air leaks into and out of the hose. Energy Star says sealing leaks and improving insulation can save 10% of the annual energy bill. Start by tackling the doors and windows. Seal them tightly with weatherstripping. Most homes have dozens of small air leaks too. Energy Star has a brochure that shows how to find and seal air leaks hidden in attics and basements. The obvious places for leaks are electrical outlets, plumbing, or openings for wires. The brochure shows how areas such as the following can be inspected. The guide has tips on choosing sealing material that ensures adequate ventilation and caulking materials to use. It will tell how to determine if the insulation in the attic is sufficient. Following the suggestions ensures improvements are made correctly. The results are a healthier home. Energy bills are reduced, and the environment is better protected. For information about energy efficiency, the Energy Star website is found at www.energystar.gov. An energy auditor can assess the home for problem areas if searching for leaks seems like a daunting task. Window glass is not the best barrier against outside temperatures. Installing new storm windows reduces temperature loss by creating a dead air space between the panes of glass and sealing leaks. Installing storm windows is one of the most expensive means of saving energy. However, there is a relatively short ROI time, approximately ten years. When storm installation is not an option, there are other inexpensive and simple ways to improve the energy efficiency of windows. To improve insulation, cover windows with a transparent material. Gary Reysa, an energy guru, recommends using bubble wrap. It cuts heat loss from a window in half. Window quilts and insulated shades can also be used to make windows more efficient. Lower the water bill by using less water. Using less hot water also saves on the electric or gas bill. The Department of Energy says heating water is number three on the list of most energy consuming functions in a home. Be conscious of water used when preparing foods, washing clothes, or washing the dishes. Take faster showers. Lowering the hot water temperature can also save energy. The DOE recommends the water thermostat be set at 120 degrees. That setting is sufficient for the majority of uses. The EPA WaterSense program recommends appliances and fixtures such as shower heads and faucets that are water-efficient. Shade trees around a home can lower summer energy bills by reducing the home’s sun exposure. Properly planted trees can cut the summer electric bills by as much as 40%. The location and size in relation to the home affect the savings from trees. Bushes and shrubs around the home improve insulation in the winter and summer.